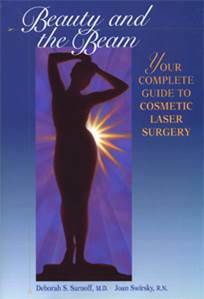 Learn more about non-surgical cosmetic procedures from Dr. Saranoff’s and Dr. Gotkin’s books. Deborah S. Sarnoff, M.D. and Joan Swirsky, R.N. Dr. Deborah Sarnoff was interviewed by the New York Times a day after she was contacted by the Today Show. As a nationally renowned dermatologic laser surgeon, Dr. Sarnoff was a leading expert in many of the newest treatments the public wanted to know more about. Beauty and the Beam: Your Complete Guide to Cosmetic Laser Surgery will answer all your questions about wrinkles, skin blemishes, tattoos, birthmarks, and numerous other skin problems. The book also includes stunning graphics and amazing before-and-after color photos that will interest and inspire confidence in anyone contemplating cosmetic laser surgery. Deborah S. Sarnoff, M.D., Robert H. Gotkin, M.D. and Joan Swirsky, R.N. 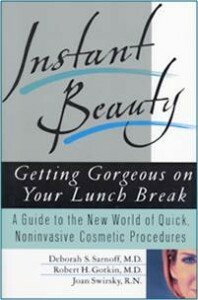 Instant Beauty is an authoritative guide that will allow the reader to take advantage of the remarkable breakthroughs in medical technology that have occurred in the last few years. Traditional cosmetic surgery was painful, exposed one to the dangers of anesthesia, and required days, if not weeks, off from work to recover. Today, most cosmetic procedures can be performed in a half an hour in a doctors office with no anesthesia or recovery time. 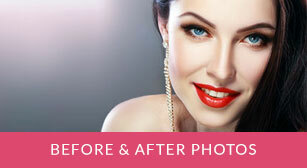 Now instant beauty is available to everyone who has 30 minutes to get the looks theyve always wanted. Subjects covered include: removal of wrinkles, scars, worry lines, crows feet, broken blood vessels, stretch marks, blemishes, age spots, tattoos, as well as procedures to remove unwanted hair and cellulite and microdermabrasion systems to rejuvenate the skin.Instant Beauty spells out each procedure, what it entails, who is a prime candidate, and how much it costs.